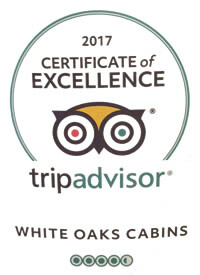 For over twenty years, guests have been referring to Bob's White Oaks Cabins as, " A Piece Of Heaven". White Oaks is on eighty-five acres of peaceful, wooded property, making it a perfect haven for nature lovers, hopeless romantics, or anyone seeking peace and tranquility. Our guests enjoy a quiet refuge that abounds with wildlife and wildflowers. From White Oaks it is less than five minutes to amazing bank fishing on Patoka Lake (at "Bob's Hot Spot"). 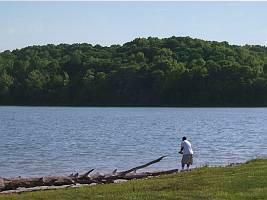 Little Patoka Boat Ramp is just a 10 minute drive from all cabins. 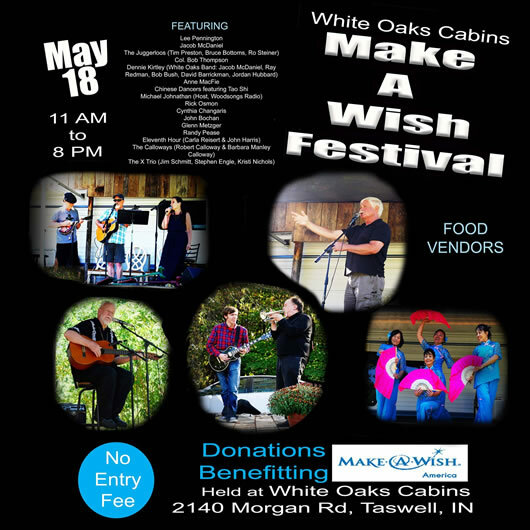 Also, minutes away you will find a casino, a water park, touring caves, boat rentals, swimming, canoeing, birding, an abundance of arrow head and fossils, hiking trails, petting zoo, winter snow skiing, grocery shopping and antiquing. YES - there is much more than just this partial list to see and do. Our area is rich with other unique places to enjoy. Ask us and we will be happy to help you plan a perfect side trip during your stay with us.